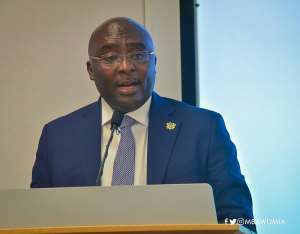 The Vice President of the Republic, Dr. Mahamudu Bawumia, believes African countries can make tremendous economic progress by taking advantage of technological innovations. 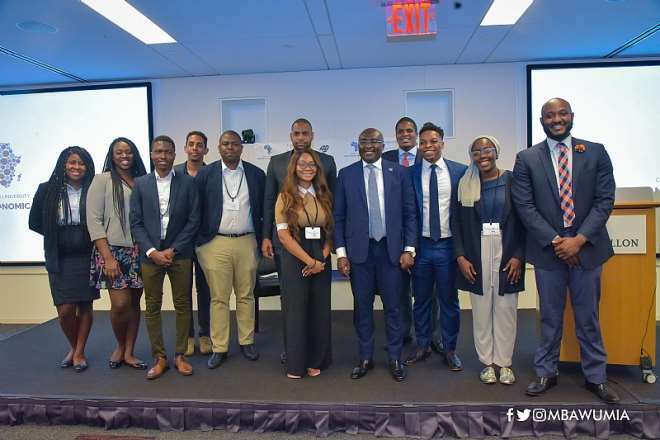 Speaking at the Columbia University's 16th African Economic Forum on Friday, 12th April, 2019 in New York, Dr. Bawumia said technology is the bulwark of industrialisation hence the continent must invest in it to make economic progress. He added: “And for us, leveraging technological innovations in shaping our industrial path will spell the future of our economic progress, and, I may add, of the Africa we want”. The Vice President argued technology and industrialisation are not mutually exclusive tools for Africa's economic progress. “It is, and will remain a difficult balancing act for governments across the continent to pursue and adopt technologically-relevant policies and initiatives side-by-side with promoting policies aimed at building an industrial base for their economies,” Dr. Bawumia emphasised. Africa’s problems, the Vice President mentioned, are unique and require exceptional measures to address and cannot only be subjected to conventional discourse. “That African policymakers will even have a debate over technology vs industrialization is troubling in itself, not because it is irrelevant but because the challenges we face, playing catch-up, much less overtaking other economies, require break-out strategies, and unconventional pathways not addressed by the conventional discourse,” Dr. Bawumia noted. “We are witnesses to how economic development orthodoxies have not always yielded the desired socio-economic outcomes. Governments fail, and so do un-mediated markets, especially on matters of the environment and natural resources governance. “A global recognition that the market, unmediated, is not always the most desirable means of equitable development has led to the growing study and policy offerings in the area of inclusive development. As the World Economic Forum noted in 2017, “over the past several years, a worldwide consensus has emerged on the need for a more socially-inclusive approach to generating economic growth,” he said. The Vice President indicated that the concept of leapfrogging is needed for the sustainable development of Africa as a theory of development which will accelerate growth, with Ghana leading the charge. "Ghana has sought to answer the leapfrogging question in three unique ways: first, by normalizing the economy by leveraging technology, innovation and digitization. Second, through an inclusive development strategy achieved through broad-based human development and investment in local, district-level infrastructure; and third , by industrialisation through value-addition to and leveraging our natural resources."